"Colin was an important piece on our offensive line last season and having him back helps to solidify our offense," said owner and head coach Darren Arbet. 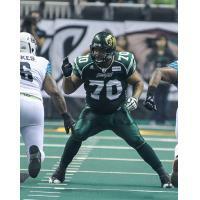 He started in 17 games for the Pittsburgh Power in 2014, where he was named Second Team All-Arena offensive lineman. In 2013, Madison started 14 games for the Chicago Rush, where he hauled in five receptions for 64 yards and three touchdowns as well as anchoring the Rush's offensive line. A three year starter at Temple, Madison earned First-Team All-MAC honors his senior year in 2010. During his junior campaign in 2009, Madison was named the team's Offensive Most Valuable Player.